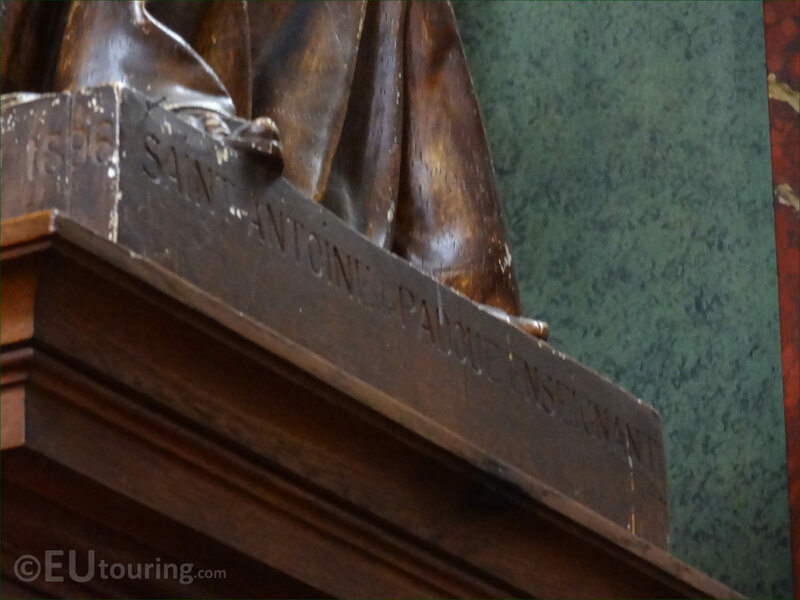 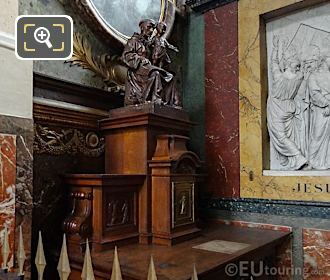 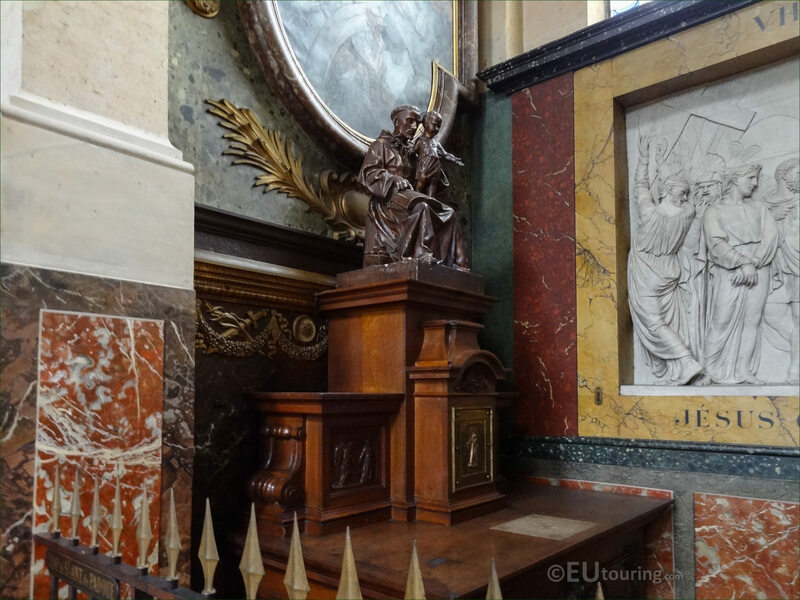 While we were within the Eglise Saint-Roch in the 1st Arrondissement of Paris, we took these high definition photos showing s statue of Saint Antoine de Padoue, which was sculpted by Auguste Coutin. 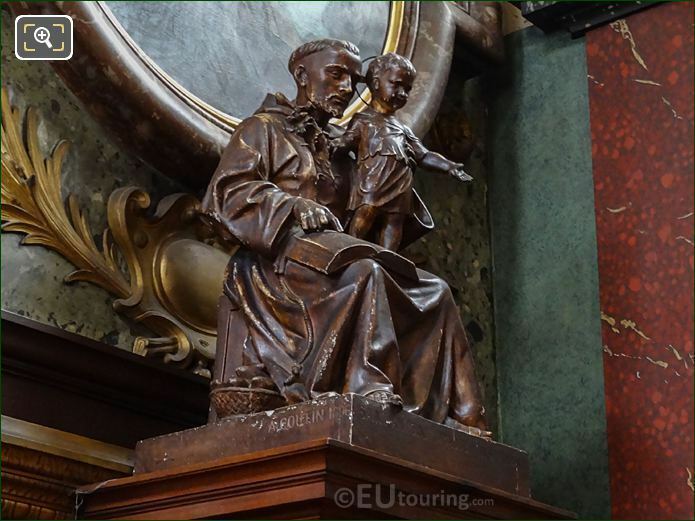 This first HD photo shows a statue of Saint Antoine de Padoue, but in English he is known as Saint Anthony of Padua, who was born in 1195 and became a theologian serving the Word of God by his preaching, which is why he is depicted here with a book, no doubt the Bible, along with a young child. 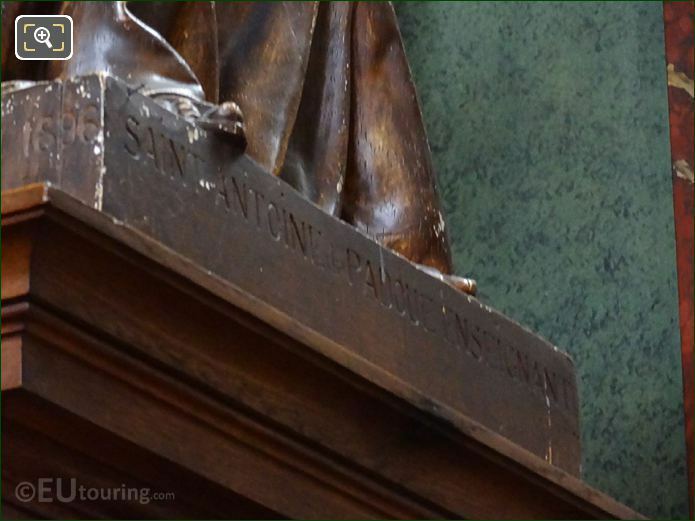 And if you look very carefully at the base of the statue, you will see that it has been inscribed with the name A Coutin, which relates to Auguste Coutin, who was a sculptor and medalist born in Reims in 1864. Auguste Coutin was once a student of Aime Millet and mainly produced works in bronze, yet he was also commissioned to work on the restoration of statues at the Reims Cathedral, and this particular statue located within the Eglise Saint-Roch is made of bronze and was positioned on a wooden pedestal base. Now the image above shows a close up photograph showing the inscription on the base of the statue at the front, which actually reads Saint Antoine de Padoue Enseignant, and in English this translates to Teacher Saint Anthony of Padua, however, on the corner on the right hand side edge, you can also see a date of 1896, which was when this statue was sculpted. 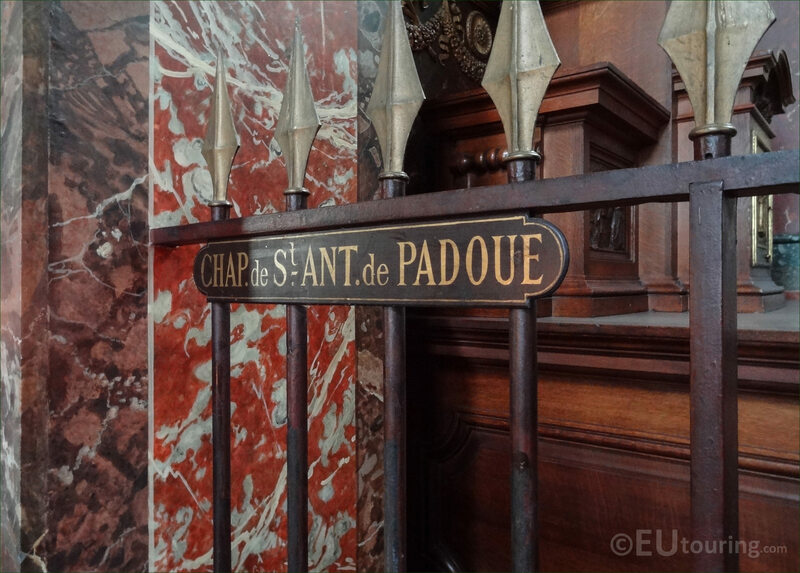 Yet here you can see the plaque that has been fixed to the railings in front of the Chapelle de Saint Antoine de Padoue, with the lower part of the wooden base of the statue just visible behind, and this chapel can be found on the right hand side of the Eglise Saint-Roch, past the transept, as you have entered the church from the Rue Saint Honore.